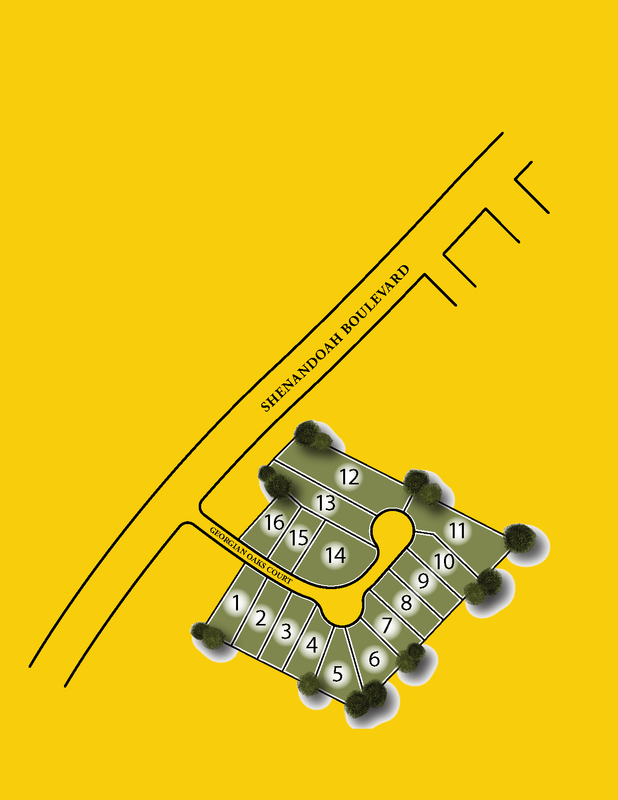 Only 16 lots available in this ideally located community in the heart of Newnan! All floor plans have Owner's suite on the main floor and include hardwood in the family room, upgraded Craftsman style garage doors and fully sodded lawn with irrigation system! Some lots border White Oak Golf Course - come pick your lot today! 1-85 S to exit 47. Left onto Hwy 34-Bullsboro Dr, go approx. 1 mile and turn right on Shenandoah Blvd. Go approximately 0.8 miles and turn left into The Georgian.